1. Natives – Choosing native flowers equals longevity!! If you would like to get more than a week out of your flowers then this is the pick for you. Not only do they look stunning they can last up to around 4 weeks if you change the water regularly. 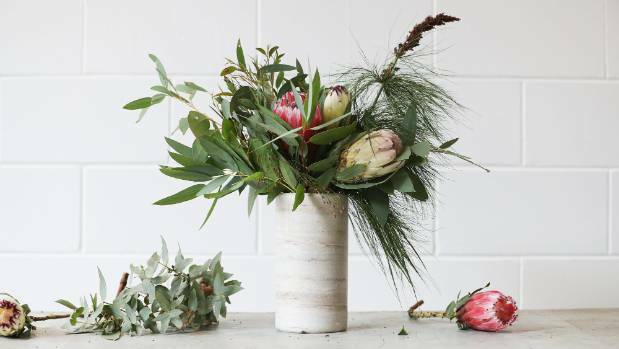 Some of my favourites are proteas, warratahs and eucalyptus leaves. 2. Roses (especially Peonies!!). I love roses but I only use certain colours when staging. Pretty much only white or pink. These two colours don’t seem to clash with too much and can give your space a real elegant feel, especially in a master bedroom. 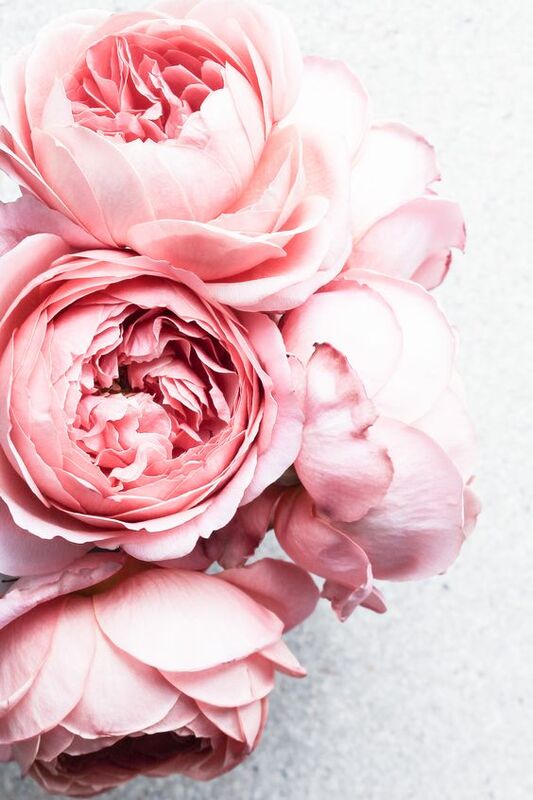 My all time favourite rose is the Peony rose. With its exquisite petals and perfect shape it is a stunning looking flower – unfortunately it only comes out for a month or two (around November in Melbourne) and then they’re gone. So if you’re property is on the market now you are lucky as you can use these gorgeous flowers. 3. 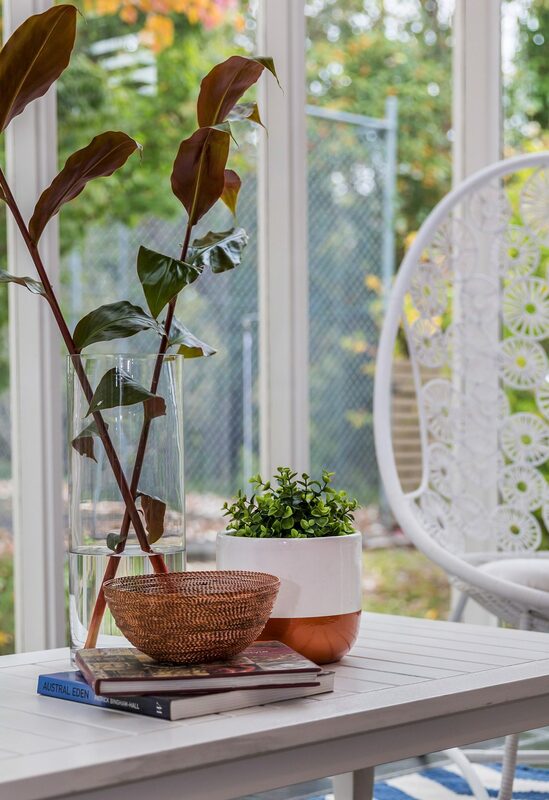 Greenery – If you prefer impact in your home then you may like to use a simple botanical display. You don’t need a lot of it and it can look stunning on a dining table or kitchen bench. 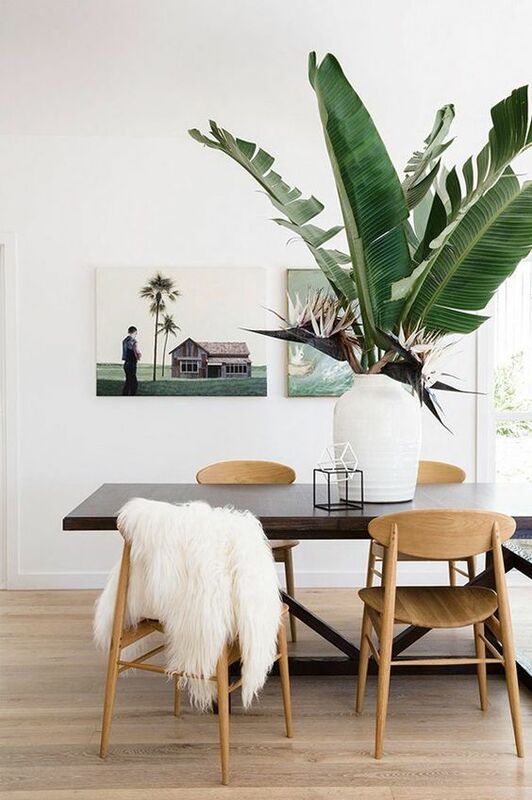 A few of my favourite green leaves I like to use are palm leaves, monsteria leaves and magnolia leaves.